It was a rainy weekend here, but despite the raindrops we had a fantastic family weekend. 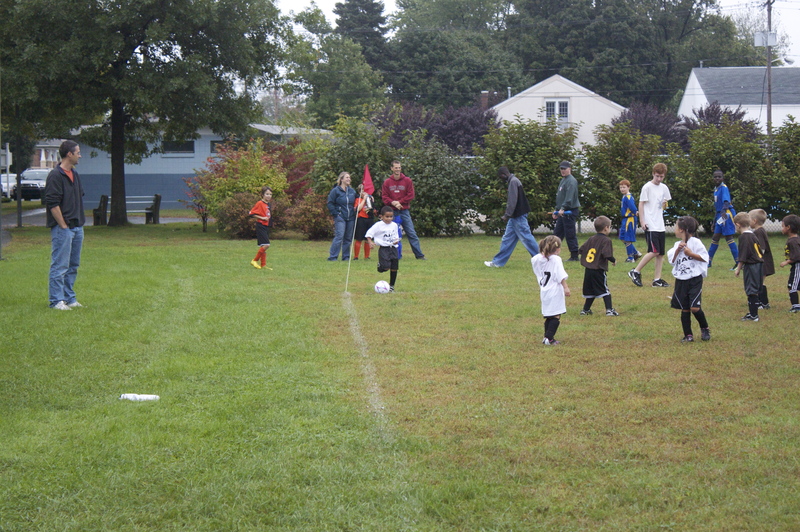 My son had his first and second soccer games, one on Saturday and another today. The rain broke long enough for them to play on Saturday and out of a gloomy morning came a sunny afternoon today. 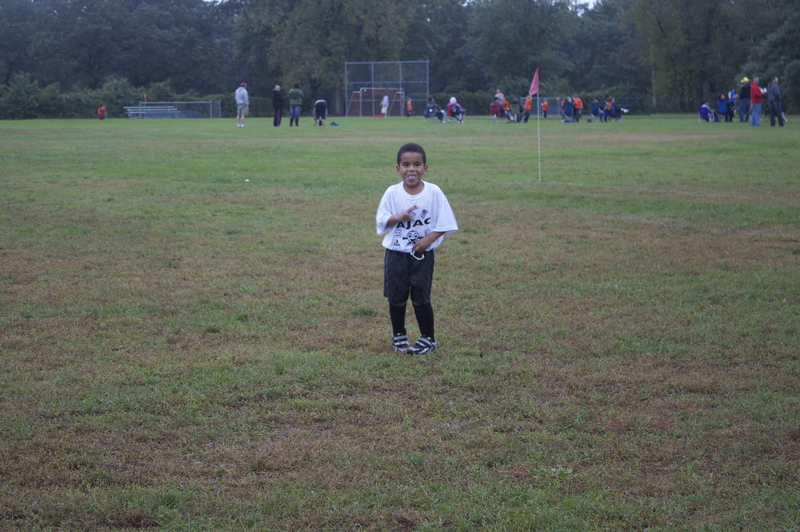 Carlos plays on a 4 year old instructional soccer team. The kids are absolutely adorable to watch. The coach is a saint with more patience than even a preschool teacher. Game day was a hoot. I have not laughed so hard in ages. 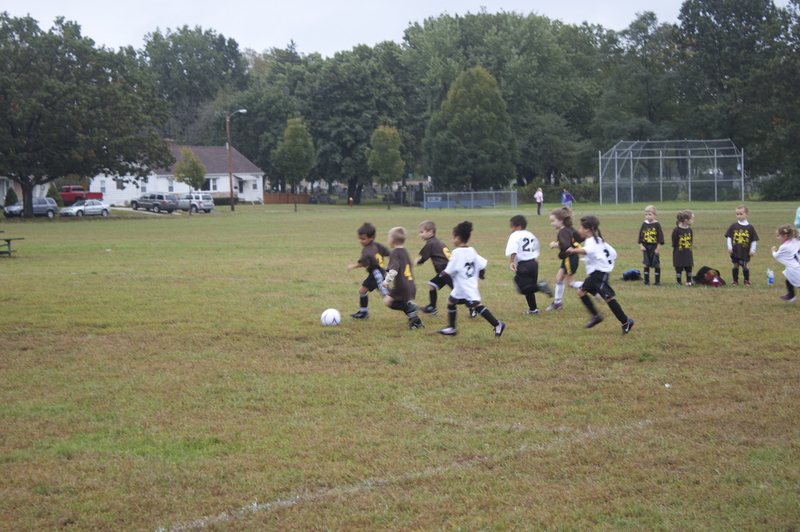 Picture a bunch of fidgety four year olds chasing a soccer ball around a field in a cluster. There were two nets on either side but no goalies! Most of the time the kids couldn’t remember which goal they were supposed to shoot into and ended up shooting at the wrong goal. Then much to their chagrin after half time they switched sides causing mass confusion as parents hollered “other way, turn it around.” The referees certainly got a work out as the ball was out of play more than it was on the playing field. At one point Carlos stopped and turned in the direction of the ice cream truck that had just made an appearance in the parking lot and yelled “ICE CREAM TRUCK!” Suddenly parents were promising ice cream treats if their child would just shoot the ball into the goal. Most of the time Carlos looked as though he was practicing a dance. He was fascinated with a plane flying overhead, the grass, the string on his shorts and really anything but the ball unless it rolled in his direction. Unfortunately the Ghosts lost both games. Bottom line though, everyone had fun especially us parents. Of course we treated Carlos to ice cream at Friendly’s after the first game. Watermelon sherbet for me, Reese’s Peanut Butter Cup for the evil “can eat what he wants and never gains weight” husband. I gained three pounds simply looking at his! Rib update: I am feeling fantastic. I am in virtually no pain unless I reach, turn or stretch the wrong way, but even that has dulled considerably. I have been diligently resting whenever possible. However, I am going to try to resume some type of exercise tomorrow while Carlos is at school even if it is just a walk with purpose. I do not intend on pushing myself too hard. I know my limits and I am also very cognizant of the fact that although the physical pain may be gone the bone itself is not likely to be fully healed just yet. I do not want to re-injure myself. It hasn’t even been two weeks but I am definitely moving in the right direction and I am very hopeful that I will be running within the next two weeks. I’ll be back tomorrow with my usual Marathon Training update and information about a few challenges I’m participating in to keep me on track with my diet goals. Hope you had a great weekend. When my son was 8, there was a coach promising his daughter a pet turtle if she made one goal for the season. She never got it. I thought that was an unfair kind of prize for a very delicate girl. Glad you’re having no pain when resting. Just keep being gentle with yourself. I’m sure you can’t wait (!!!!!) to get running again! And you will be–very soon. Oh I remember when my sister played years ago how obnoxious some of the parents were. I’m impressed with the parents so far. We all clap and cheer even when the other team scores! We would certainly be a sore sight if we had to go out there and play! I can’t wait to run, but I will wait. I’ve decided to go for a walk this morning.